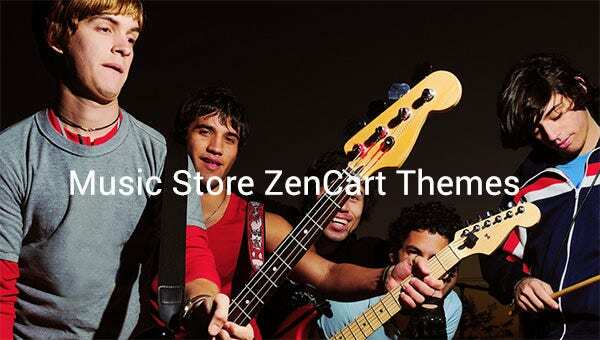 The web developers, e-commerce users and online shop owners love to use the Zen cart for its open source nature and customizable features. 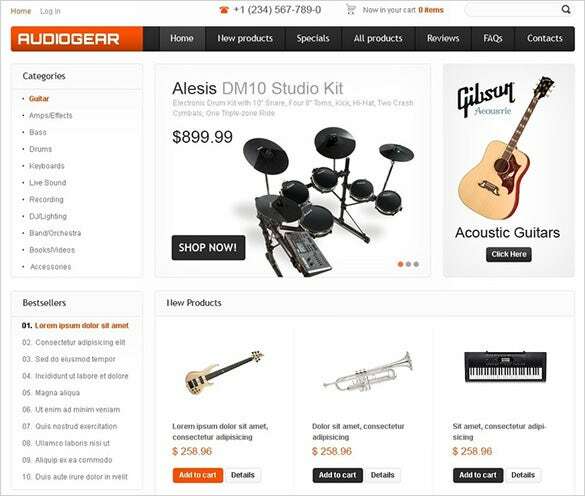 The advanced HTML and CSS coding makes it applicable and compatible with the latest rowers and also on the mobiles and laptop versions. 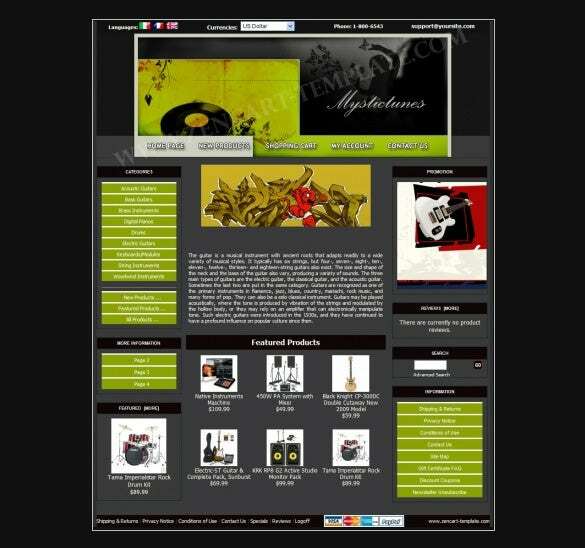 To make the ultimate customer experience, add the free plugins to make it user friendly.You may also see Art Store ZenCart Themes . 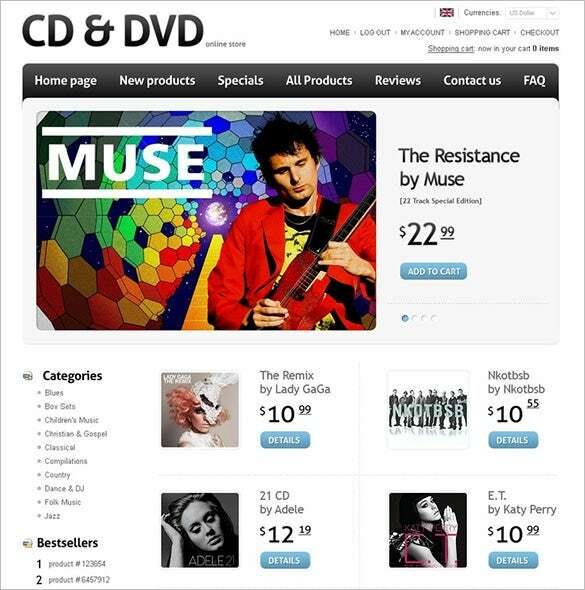 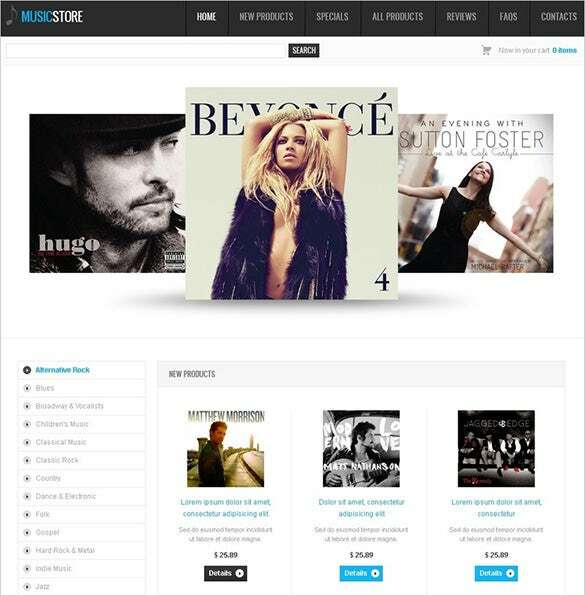 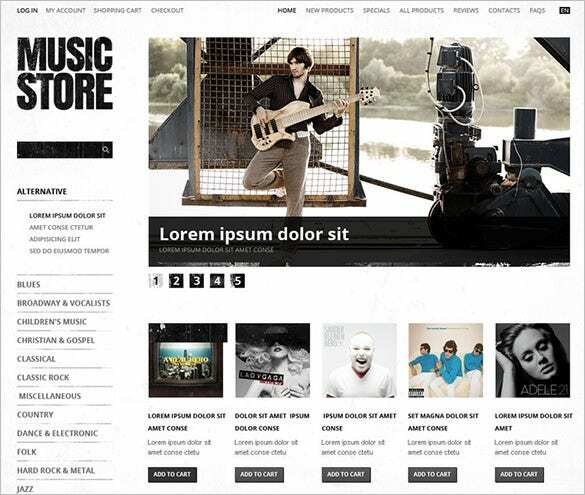 Customizable features like fonts and colours, variety of sidebars, header presets options, fully responsive design and much more make the Online Music Store ZenCart Template $139 favourite for website developers and e-commerce users. 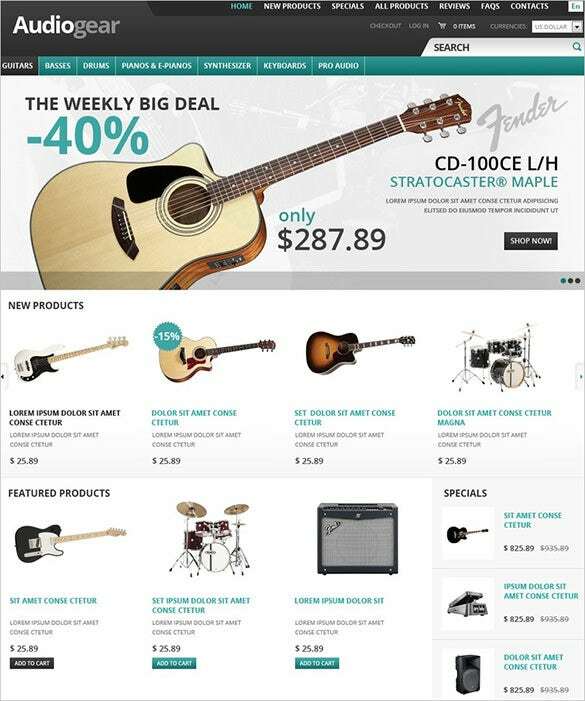 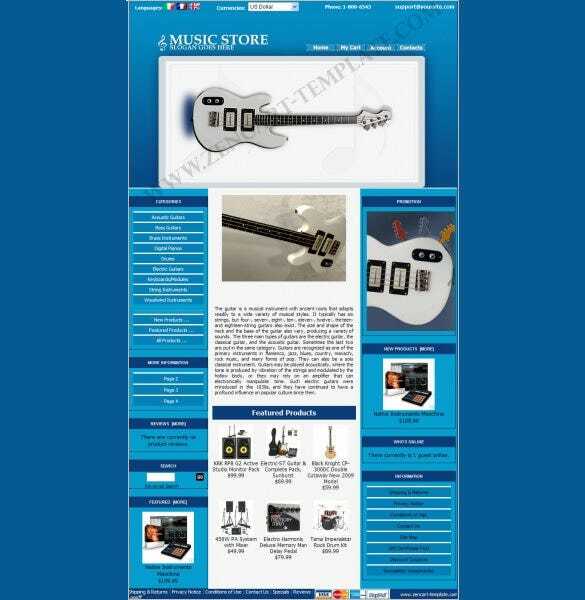 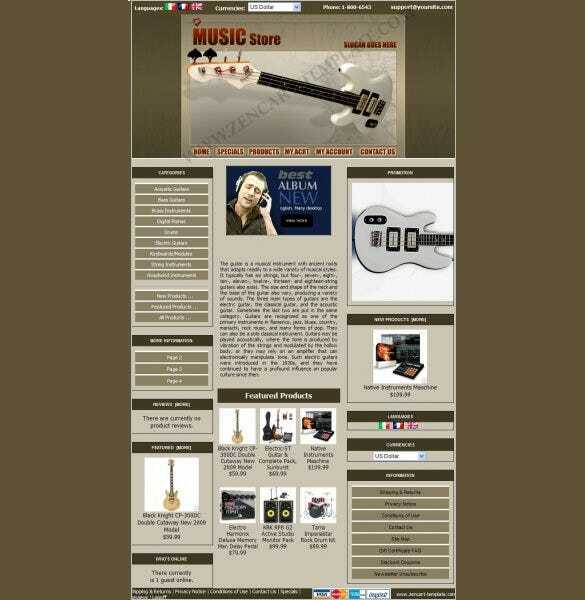 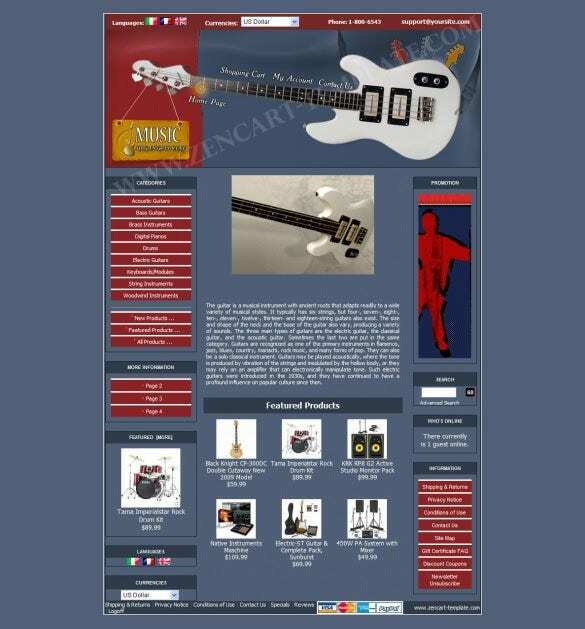 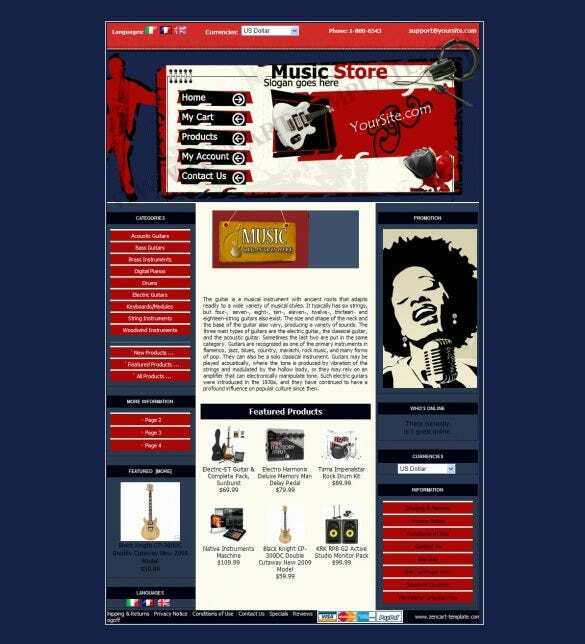 For creating music based website, the Guitar Music Store ZenCart Template $29.99 is perfect as it offers SEO ready features, numerous short codes, plenty of fonts and colours, category selection facility and easy admin set up. 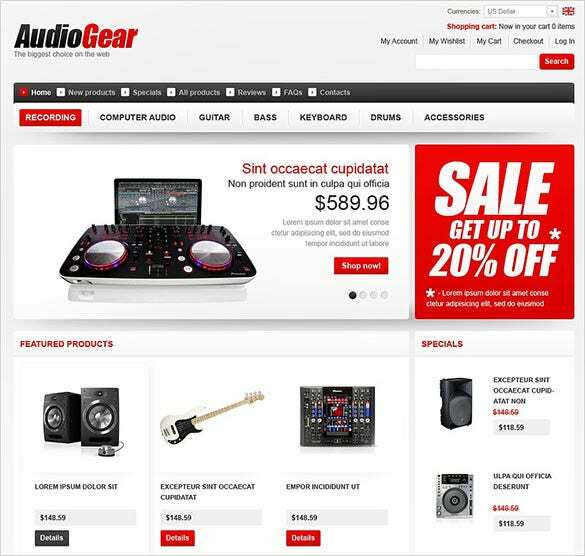 For a minimalist, attractive and responsive website, the Audio Store ZenCart Theme $139 offers header presets options, Visual Composer page builder plugin, customisable fonts and colours, along with a responsive layout. 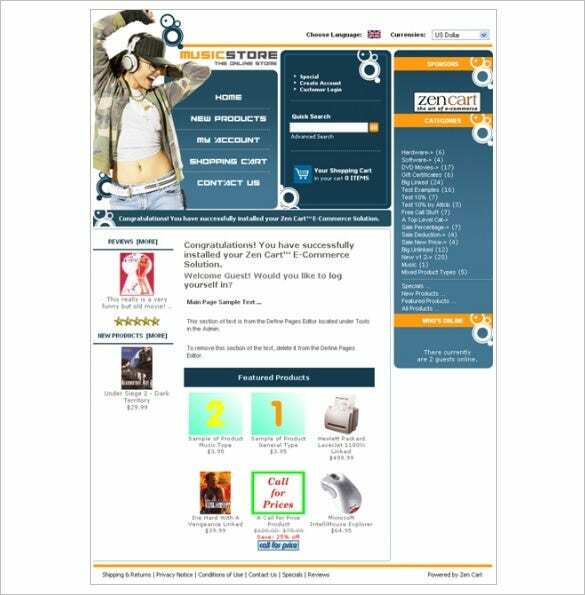 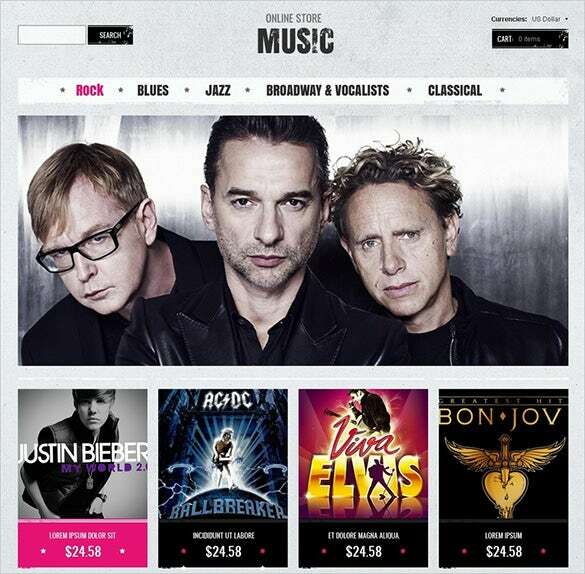 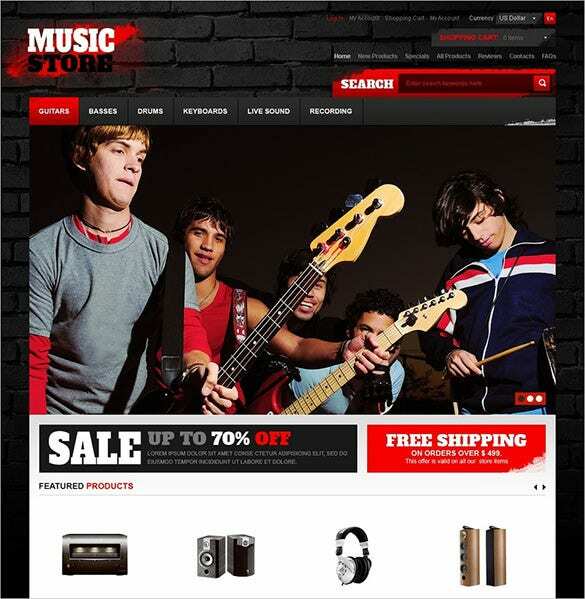 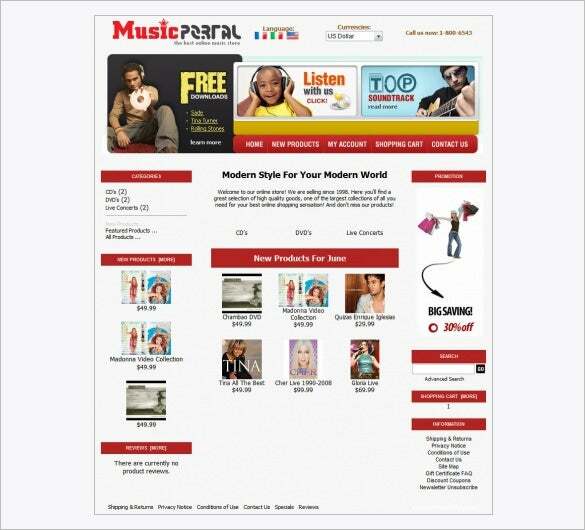 As you wish to create a sophisticated website for your potential customers, use the Music Portal Music Store ZenCart Theme $29.99 which comes with easy admin features, endless fonts and colours, display-ready stock images, advanced HTML coding facility. 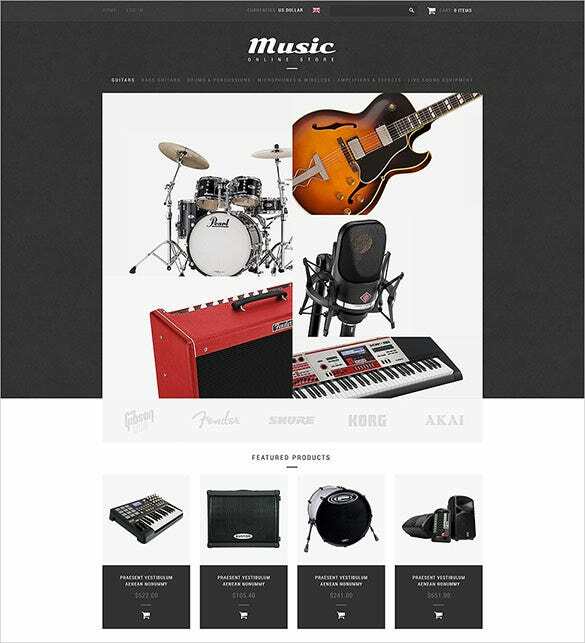 For a responsive layout with advanced CSS coding, Music Shop ZenCart Theme $29.99 is compatible on apps as well as computers. 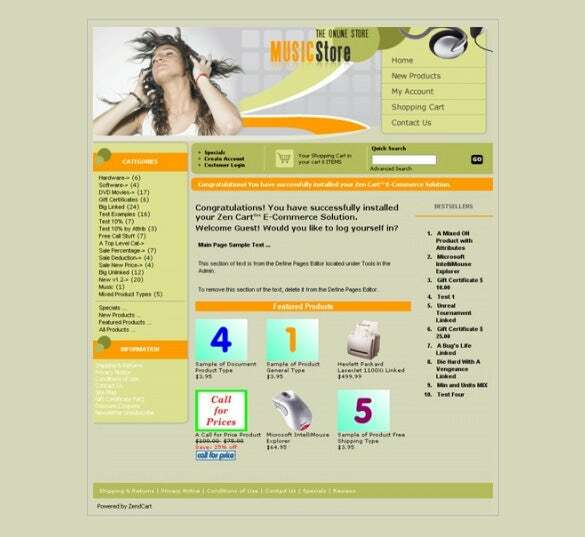 Select from the numerous high definition images, free plugins, filterable categories, and custom widgets. 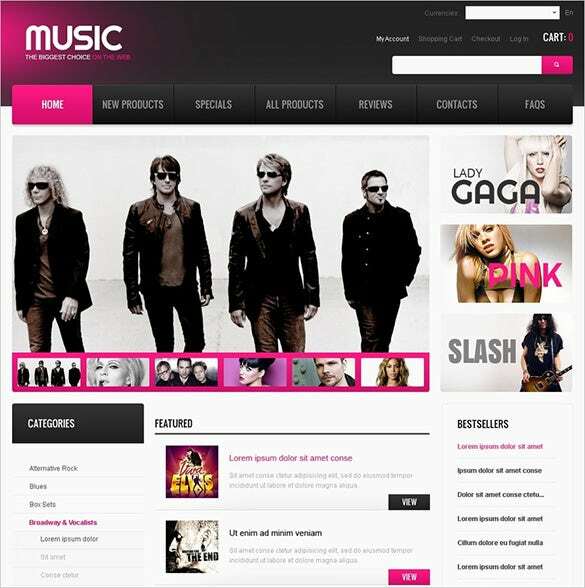 Packed with powerful customizations along with the wide and boxed layouts come with multiple background patterns will help to make the most elegant and fully responsive design. 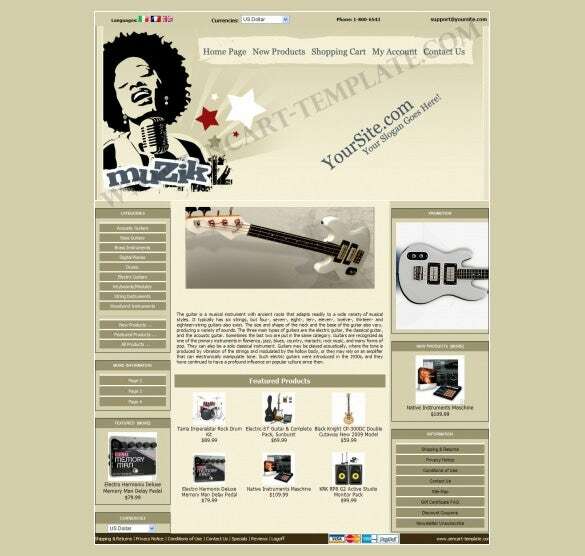 Add from the plethora of options available for download and use this richly-featured to make your own design.